Hi everyone! 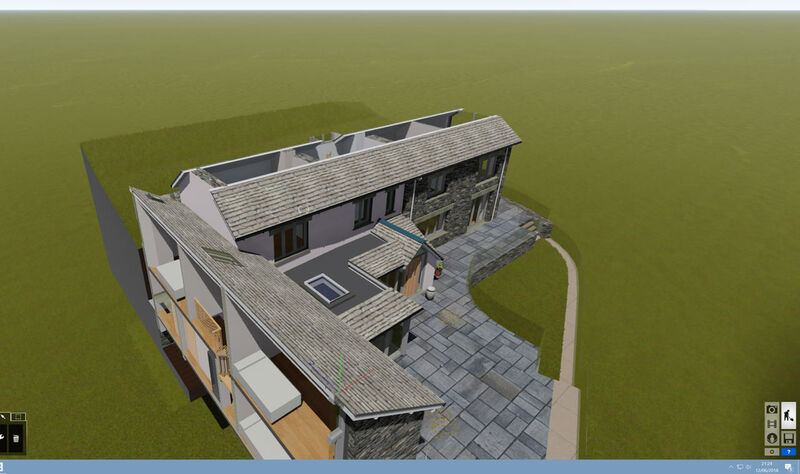 I´m working with Revit and I exported a project to Lumion 8. But as you can see in the attached image, when I apply a section to the model, there are no thicknesses. Can anyone help me fix this? Is there even possible to solve this problem?? I've just tried exporting a Section box 3D view into Lumion 8.5 from Revit 2019 and it seems to all be OK (see attached). I think I have come across what you are seeing in the past but nothing to do with Lumion. Lumion is extremely demanding on hardware - might it be a graphics card or driver issue - but Lumion usually spots those when you install. Sorry, not a lot of help as it looks as though it may specific to your setup. Might be worth an email to Lumion support? Hi Will, can't help commenting on your materials, they are looking VERY GOOD, you'll have to give the rest of us some tips from your experience on non-tiling natural materials and your workflow in a fresh post sometime. I am concentrating on video out of Lumion just now as a tool for client discussion. I gave up on making presentation model videos in 1993 (!) but Lumion makes it so easy and I've been looking for something to 'up my game' with clients now that 3D is relatively widespread among architects. Here is one I've just done - of the same property as the Section box example above - trying out entrance design variations for a client who seems unable to understand drawings or model Views. The flying creature is, I think, a pigeon but I have not mastered the control of its flight path just yet - but you are right, the little details make a difference. Last edited by willsud; June 20th, 2018 at 02:00 PM. Thanks Andres, yes I have used the textures.com site off and on for many years. As with most such sites I find the textures, despite being good quality tend to show repeats in larger areas such as gravel and grass. Also, in my area the exact shade of natural stone and roofing slate is unusual and important (we are now a World Heritage Site, heaven help us ) and varies from valley to valley and quarry to quarry - even from one side of the quarry to the other, and so I am always on the lookout for new textures. With the B2M software I am hoping to create more myself but I need to get out more with my camera to take some high resolution images. They were talking about the World Heritage Site stuff, but they are very eco-conscious anyway and have to do whole studies on how they extract stone and quarry and get it approved by the authorities. I'm sure they'll have good imagery for slates, etc. Yes, I know Burlington - in fact one of their long-time sales guys lives across the road from me. They dominate the local stone and slate industry and I have used some of their sample pictures to create such as floor coverings. As you've mentioned them I'll give them a call - I suggested many years ago that they could do worse than supply tileable textures for designers.